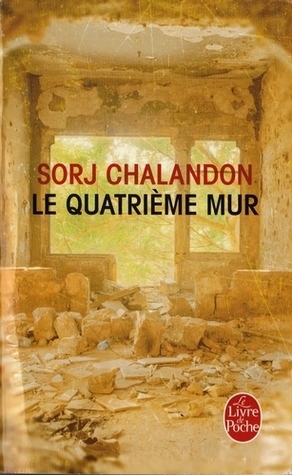 Le Quatrieme Mur was a gripping story from start to finish, and one with plenty of action and emotion. I'm too young to have much knowledge of this war, but it certainly sounds like it was a harrowing time, and the idea of presenting a piece of theatre in the midst of it, with actors drawn from all sides of the conflict seems mad. I really felt for George as he tried to come to terms with what was happening, and I was always eager to read on to see if things would work out. (You'll have to read the book yourself to find out if they do.) I did come across words I didn't know, but I was always able to work them out from the context and didn't refer to my dictionary once, so it was excellent practice for my French too. Unfortunately there doesn't seem to be an English translation of this work, so you'll only be able to enjoy it if you can read French (or one of the other languages into which it has been translated).